'Tis the season for snowmen! Not actual ones, as it's 60°F here in northern California. 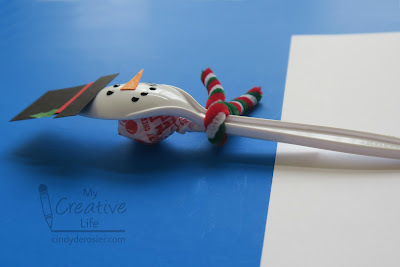 Snowman crafts. 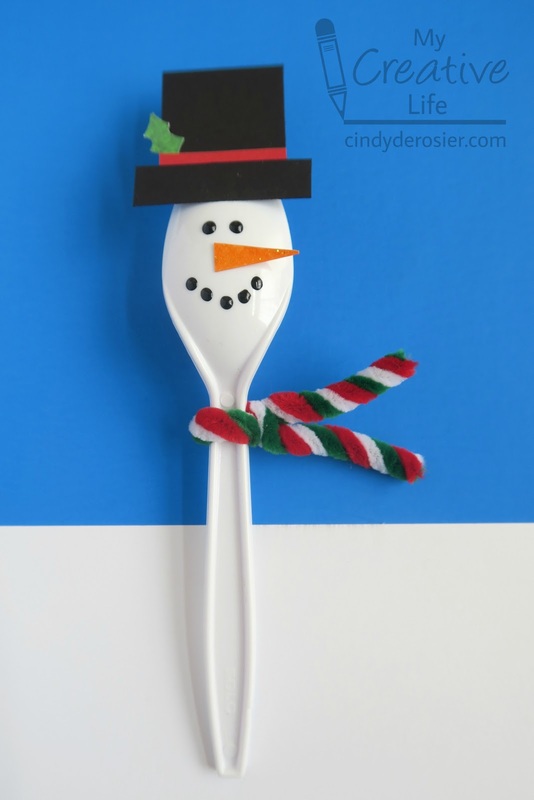 In this case, a spoon turned into a snowman. These make fun present toppers and they're really easy to do. There are affiliate links in materials list below; I will receive a small commission on any purchases you make, at no extra cost to you. 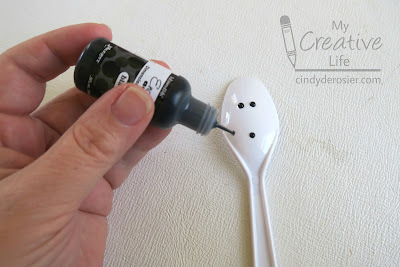 Enamel Accents is self-leveling and creates perfect little dots. It dries pretty quickly and stays on well. I don't use Enamel Accents often, but when I do I always remember right away why I love it. Cut a triangle of orange paper for the nose. 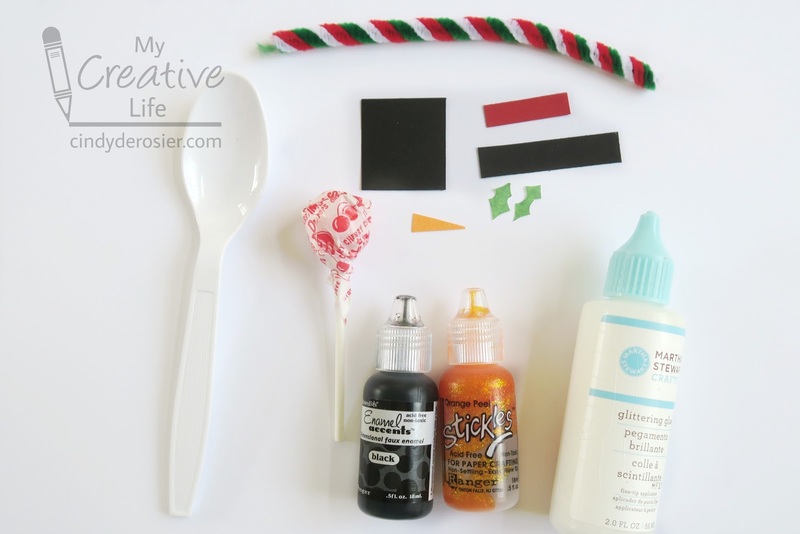 Add a coat of Stickles for sparkle. This is optional, of course, but it makes it look so much better. Set it aside to dry.